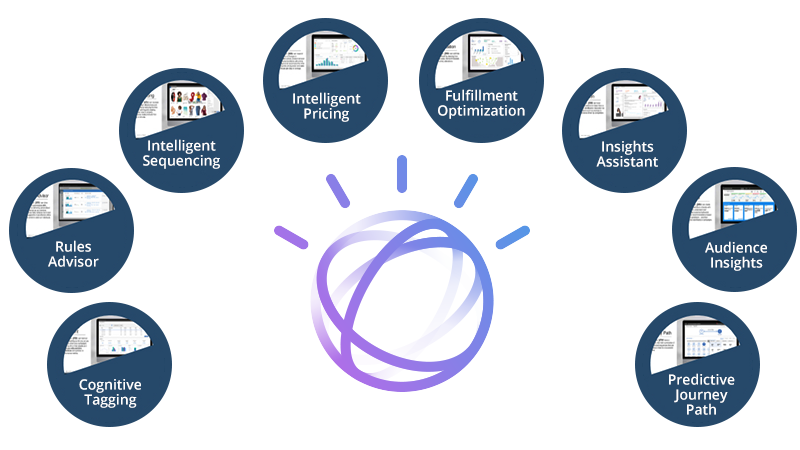 IBM Watson Commerce v9 has been released that gives organizations greater agility and flexibility to speedily innovate and to quickly adjust their go-to-market strategies and transform how they engage customers across channels. Unlike version 8, which came after 6 years gap, IBM has reduced the major release period this time. What is even more important to note is that support for v7 (still most of the customers are running on) will end in April 2020 (End of Support). Customers on v7 therefore need to think about a migration project. We have covered phases of migration and the new features of IBM Watson Commerce v9 in the later sections. Royal Cyber shares its experience of how best to approach ecommerce implementations to help make sure you get it right. Separated the storage search from the larger heavier transactional server which allows for better scaling of eCommerce platform with reduced TCO from minimizing regression testing for the various releases to the actual infrastructure requirements to run the store. Upgrades can now be done in days. Think of something in the morning, and have it in front of your customers the same day. It allows eCommerce professionals to package applications with all the parts it needs from the OS, libraries and dependencies and ship it out as one immutable package. 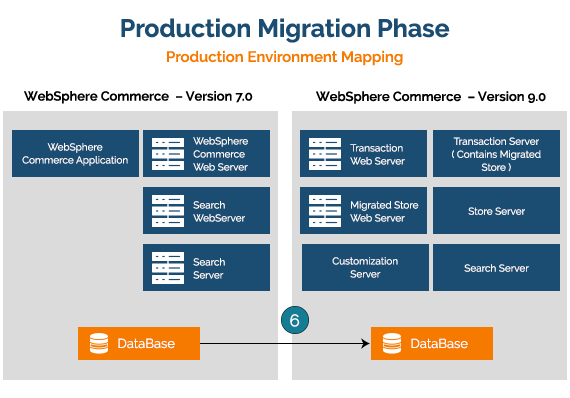 A migration project for any live WebSphere Commerce site is an activity that must be carefully thought out. In the planning phase, we take list of clients current WCS Assets, such as servers, software, documentation, databases and custom code. It is crucial to know which customizations client has, and where system integrates with external systems. The practice phase is divided into 02 or more parts, depending on clients business. The v9.0 migration offers a minimal downtime solution, so when we migrate your live environment to v9.0, you can continue to serve traffic. The majority of the production migration takes place offline. In fact, the live database is the only tier from your production environment that gets migrated directly from one runtime environment to another. 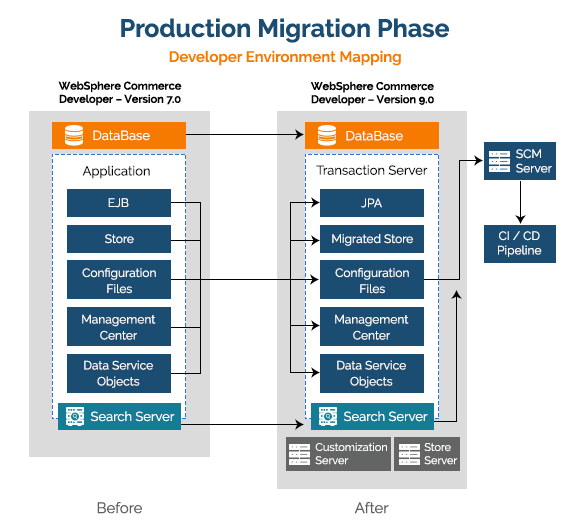 And that database migration can occur in parallel to serving traffic. How Royal Cyber can help?